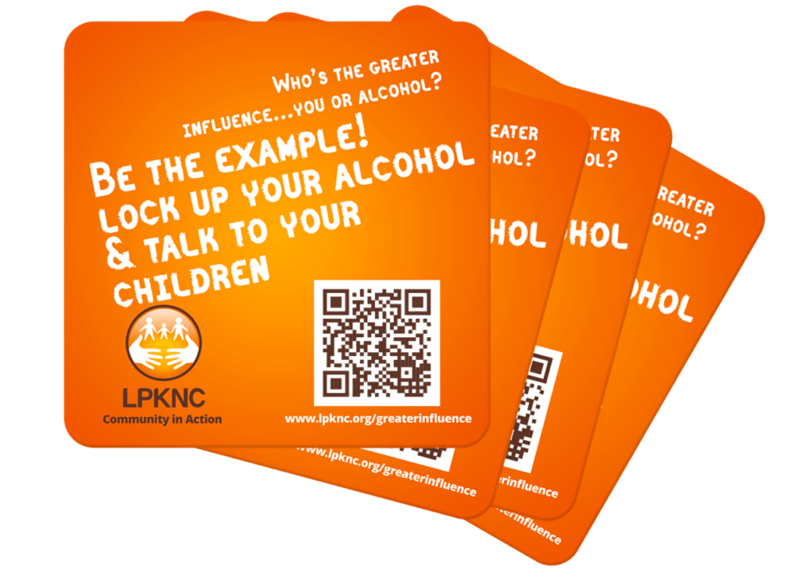 These drink coasters deliver the message to parents to be a greater influence and talk to their children about alcohol. Alarming number of pre-teens and teens are drinking alcohol. Find some time to sit with them and talk to them about the dangers of drinking alcohol at such a young age. SAMHSA’s “Talk.They Hear You.” website is a great resource for parents looking for a way to break the ice and have the talk. Click here to visit SAMHSA’s website and start making a difference in your child’s life. It is disturbingly common for kids to get their alcohol from their own family at home. One of the easiest ways to keep your children away from alcohol is to make sure you keep alcohol locked up. It is also important to monitor your bottles, as this will send the message that you are paying attention and will not tolerate underage drinking. When you set clear, realistic expectations for your child, you can begin to build a strong parent-child relationship that will help you navigate this and other difficult, family-related situations. Also, by establishing appropriate consequences and enforcing them, you will have opportunities to reward good behavior. There are specific laws that apply to underage drinking. Minors in possession (MIP) laws include drinking and possessing alcohol, minors consuming alcohol in public, and minors illegally obtaining liquor. But did you know that adults can also be fined for hosting an event where minors consume alcohol or for buying minors alcohol?